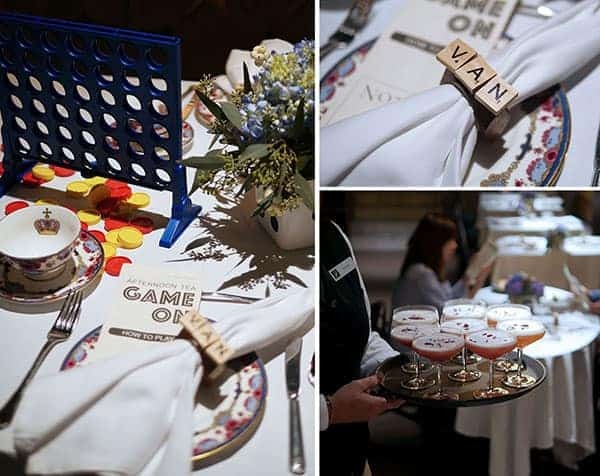 Being social is one of the fundamental aspects of an afternoon tea outing so besides just drinking tea, eating sweets and catching up on a little bit of gossip, there is another activity you can now add to that list: table games. 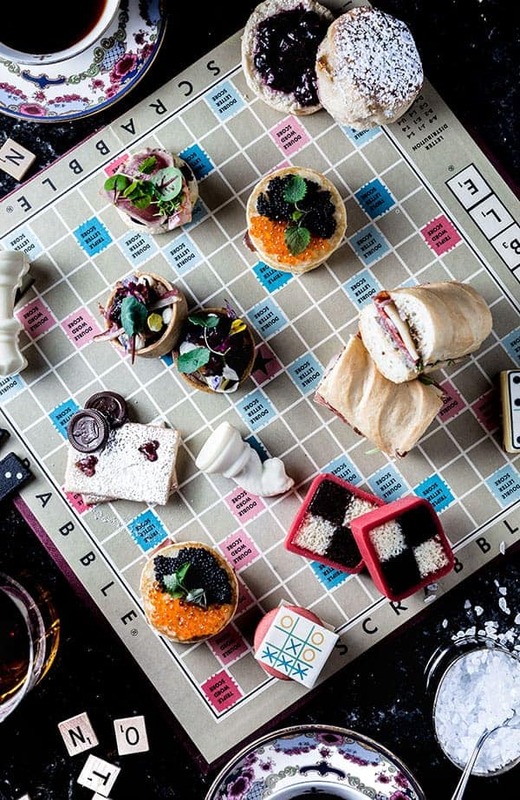 For the month of October, Notch8 in the Fairmont Vancouver will serve a games-themed afternoon tea set that comes complete with treats that are reminiscent of game pieces from various beloved board games. 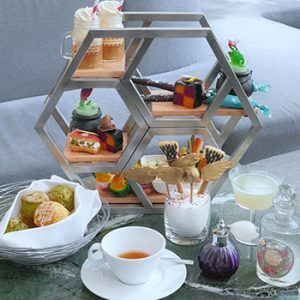 The aptly named Game On tea set will be served in a unique bookshelf display unseen elsewhere in Vancouver. 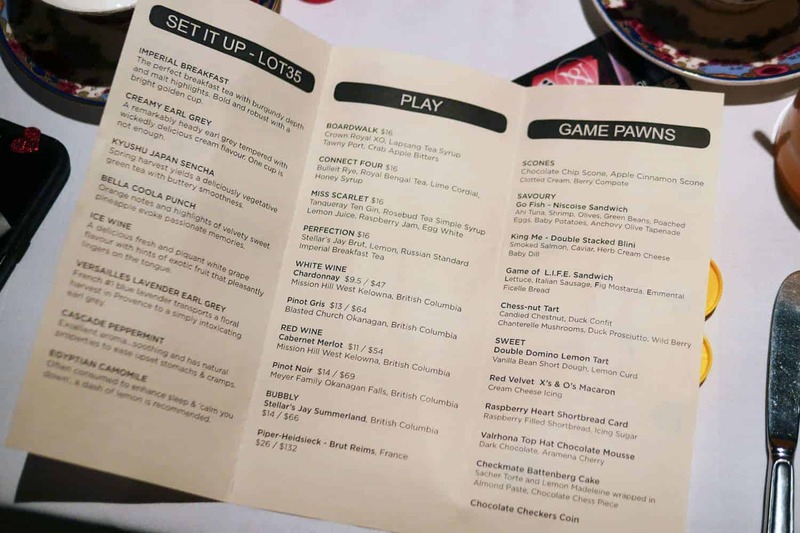 And of course, the experience won’t be complete unless there are actually games being played; the restaurant also offers various table games and trivia cards which you are welcome to play at the table with your partner. How fun is that! Game On tea spread. 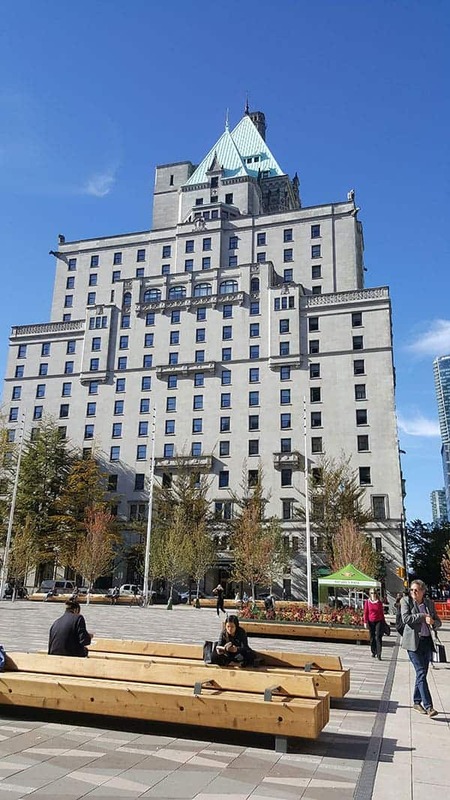 Photo courtesy of Fairmont Vancouver. Select Lot35 loose leaf tea. 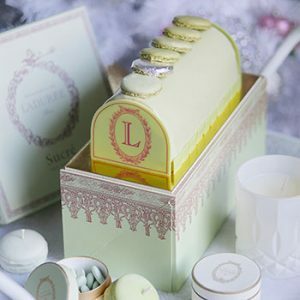 Lot35 is the new upper tier tea collection from the supplier of Fairmont Hotel teas. There are 8 different tea choices to choose from. 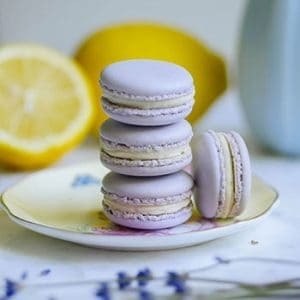 I had the Creamy Earl Grey which has a smooth body and creamy flavour containing cornflower petals. 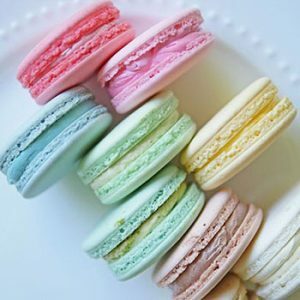 And, obviously, it pairs very well with cream! This season, Fairmont’s signature scones are offered in two flavours: chocolate chip and Apple Cinnamon served with a tangy cream cheese infused clotted cream and berry compote. Select a tea-infused cocktail (4 different choices) or wine/bubbly. Mocktail selections are available too. In front: new mocktail selection. In back: MISS SCARLET Tanqueray Ten Gin, Rosebud Tea, Simple Syrup, Lemon Juice, Raspberry Jam, Egg White. There are four different cocktails, 2 white wines, 2 red wines or 2 sparkling wines to choose from. Partake in scones, 4 savouries and 6 sweets. This season, Fairmont’s signature scones are offered in two flavours: chocolate chip and Apple Cinnamon served with a tangy cream cheese infused clotted cream and berry compote. The scones are always a big highlight for me at the Fairmont. 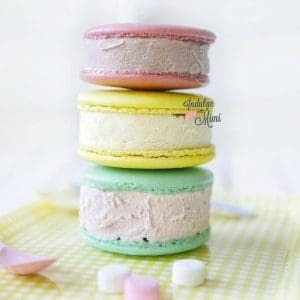 There are only a few places in Vancouver that perfectly executes this traditional tea time item. 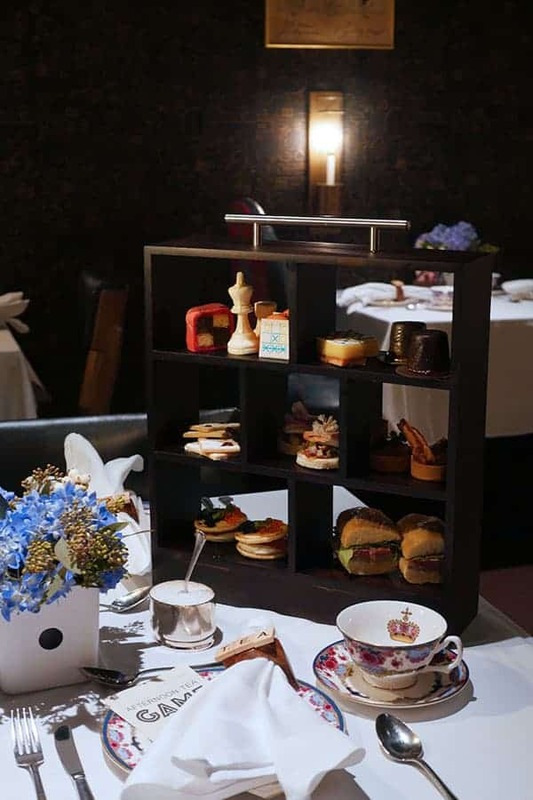 Unique bookcase display for the Games On afternoon tea set at Fairmont Vancouver. 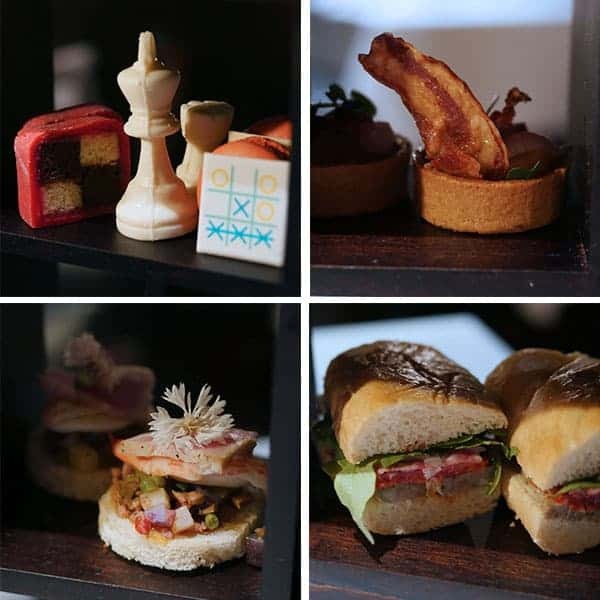 Top left: Checkmate Battenberg Cake – sacher torte and lemon madeleine wrapped in almond paste, chocolate chess piece, red velvet macaron with cream cheese icing. Top right: Chess-nut Tart – candied chestnut, duck confit, Chanterelle mushrooms, duck prosciutto, wild berry. Bottom right: Game of L.I.F.E Sandwich – Italian sausage and fig mostarda. Bottom left: King Me – smoked salmon, caviar, herb cream cheese and baby dill. The Game On tea set will be available from September 20 – November 26, 2017 on Wednesdays to Sundays with sittings at 11AM, 1PM & 3PM. 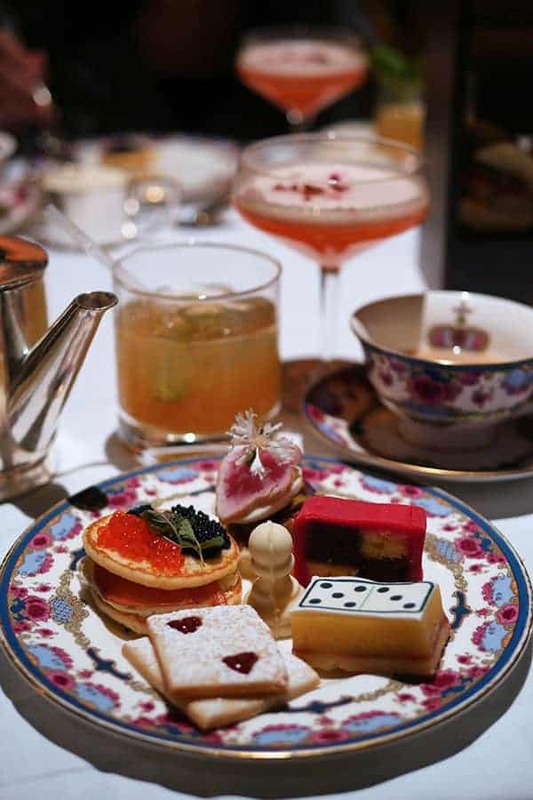 During the month of October only, in addition to the afternoon slots, there will also be an evening sitting which is referred to as “Games Night Tipsy Tea”. 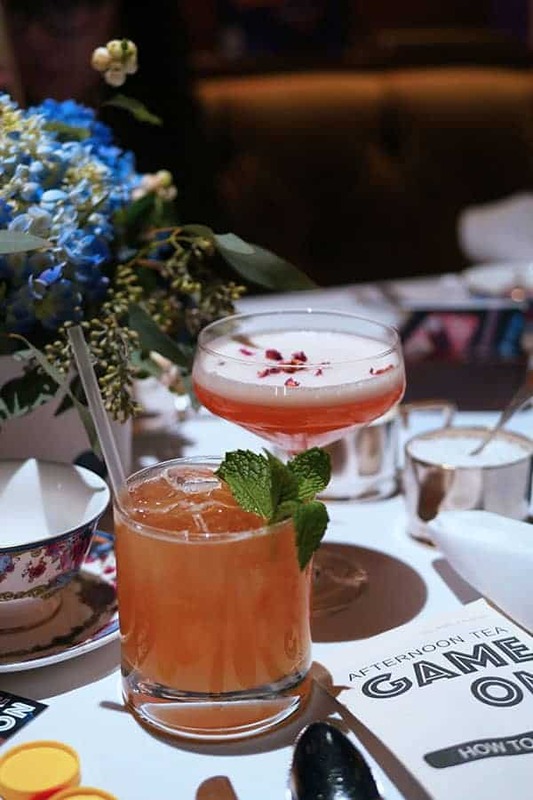 Tipsy tea is a London-inspired interpretation of tea time which includes serving tea sets in the evening with some alcoholic beverages. 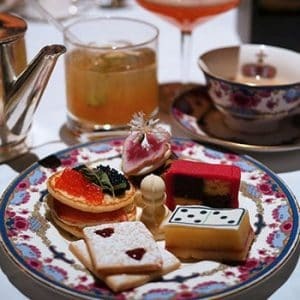 The Games Night Tipsy Tea Set includes two alcoholic beverages along with the same treats found in the Game On tea set. Guests are encouraged to stay as long as they like (until 1pm) so you can make a complete night of your experience. 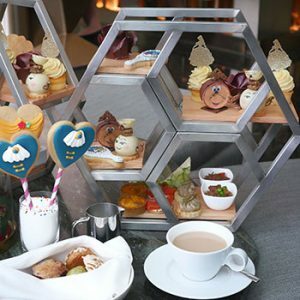 Ever since I experienced this evening version of tea last year, I knew it would be a real winner and I’m happy that the Fairmont has brought it back. This year, the sitting times are only on every Friday in October so make sure you plan ahead since you definitely don’t want to miss this! 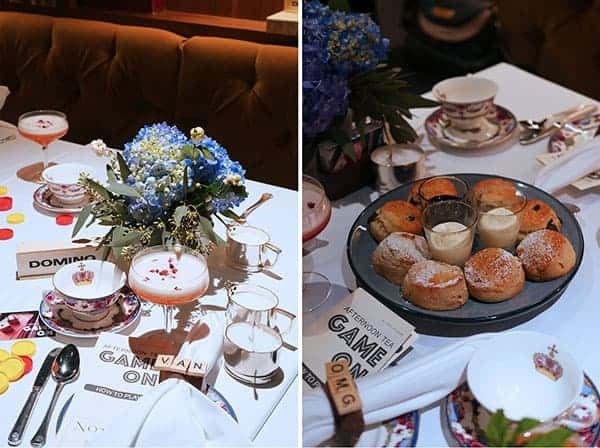 Game On Afternoon Tea runs from September 20th – November 26th, 2017, with sittings Wednesdays – Sundays at 11AM, 1PM & 3PM. Adults $59, Children $29.5 (ages 12 & under). person. 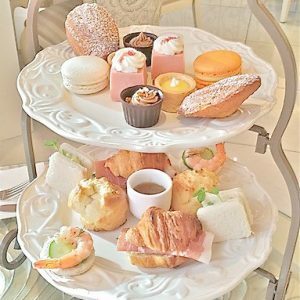 Tipsy Tea includes a tea tier of mouthwatering fare, LOT35 Tea, and two cocktails per person. Guests must be 19+ years of age. 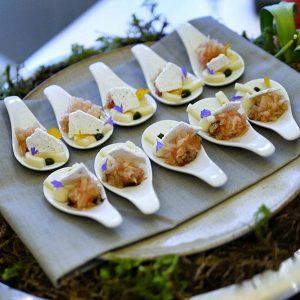 Options catering to guests with specific diet-dependent conditions such as gluten-free, as well as dietary preferences like vegetarian and vegan diets are available with advance notice at time of booking. 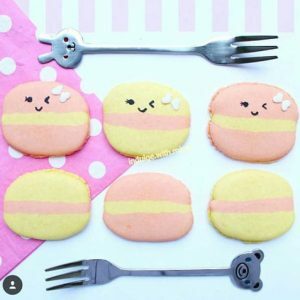 Clockwise from front: Raspberry heart shortbread card with icing sugar; smoked salmon, caviar blini (Russian pancake); Go Fish – Ahi tuna, poached egg, anchovy olive tapenade sandwich; Checkmate Cake – lemon madeleine wrapped in almond paste, Double Domino lemon tart. 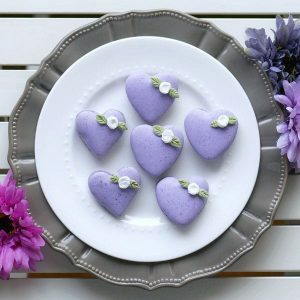 Disclosure: I was invited to preview the new afternoon tea set. All drinks and food were complimentary. All opinions are my own.